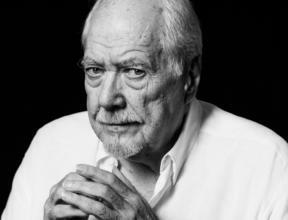 From the beginning of his career in the late 60s to the last film he ever made - "A Prairie Home Companion" (2006), released on the same year the director passed away at age 81 - Robert Altman always marched to the beat of his own drum, both personally and professionally. He worked on his own terms, within the Hollywood system or outside of it, he stood his ground against studio executives when forced to defend his vision, he followed independent and often adventurous financial schemes to fund his riskier productions and he took on some of the most unusual and daring projects that ever emerged in worldwide cinema. From 1970 until 1978, in a very short amount of time, Altman managed to make some of the most significant films in modern American cinema, riding the wave of a manic creativity that bore one great film after the next, without ever factoring in box office potential, audience anticipation or whether studio heads were willing to back him up. The Athens International Film Festival celebrates this brilliant stage in the career of one of the most celebrated directors in film history, screening established masterpieces (like "McCabe & Mrs. Miller" and "Nashville") alongside little-known gems (like the unsurpassable "3 Women" or the mystical "Images") that either never screened in Greece or haven't seen the light of day in decades, exactly like they deserve to be watched: on the big screen, from 35mm prints.